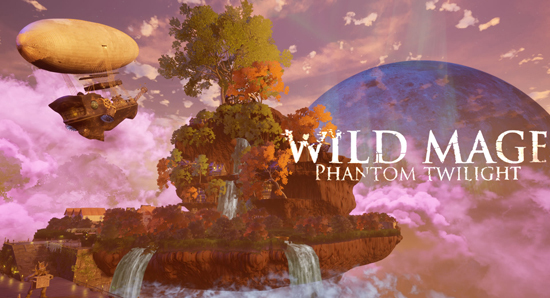 Wild Mage: Phantom Twilight is an open-world action/adventure RPG featuring airships, floating islands, dungeons, and dynamically destructible enemies and environments. Luna Orion studio plans to release on Steam in Early Access by Christmas 2019 post-crowdfunding. As a Wild Mage, you act as the right hand of the Tower of Heaven, extracting adventures, escorting Ships, delivering goods, reclaiming lost islands. The game also features a wide variety of powerful spells acquired through adventures, with the ability to use runes to amplify them. Almost everything is destructible in some way, floating islands are made with voxels and can be tunneled or destroyed, structures (bridges, walls, houses) take damage from spells or monsters, along with dynamic fire propagation. You can mine resources and craft relics in the game but items so powerful they must be kept in the center of the islands.